FairLifts, working with a worldwide network of helicopter operators, schedules expert aerial applications for agricultural crop dusting, mosquito and pest control, and weed and brush control in the state of Washington. Aerial solutions ensure precise and comprehensive coverage of farm and woodlands for superior results with reduced environmental impact. Helicopters provide a cost-effective alternative to ground treatments, increasing yields, crop quality, and revenues. Aerial applications allow farmers and growers to access inaccessible crop areas for surveys, line inspections or frost prevention. Helicopters are transported by truck directly to farm sites, where treatment chemicals are mixed and loaded, thereby reducing fuel costs. 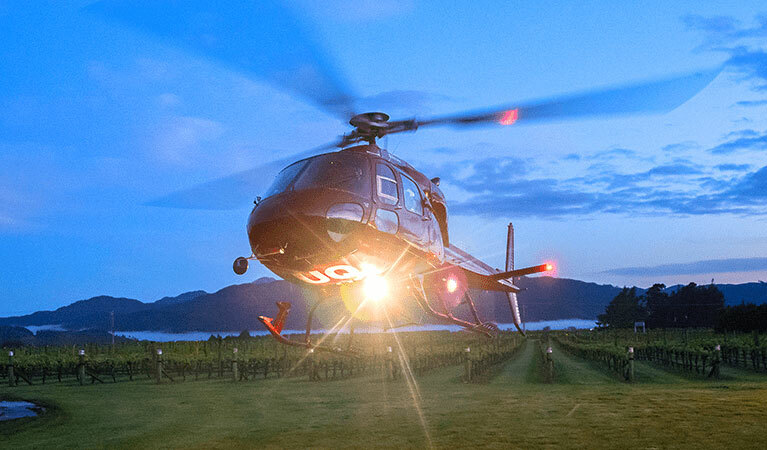 In the state of Washington, aerial applications are carried out with smaller aircraft with greater load capacities like the R44 and Bell 47, which have built-in DGPS to guarantee area location for precise applications. FairLifts schedules superior aerial applications with farmers and growers for unbeatable results. Washington, a leading agricultural state, is ranked first in the production of red raspberries, hops, spearmint oil, wrinkled seed peas, apples, sweet cherries, pears, Concord grapes, carrots for processing, green peas for processing, and peppermint oil. The total value of Washington's agricultural products exceeds $10.2 billion. Washington is also ranked second in the production of fall potatoes, nectarines, apricots, grapes, sweet corn for processing, and summer onions. The apple industry in Washington, which benefits from the state’s climate of dry, warm summers and cold winters of central Washington, has ranked first in the country since the 1920s. Two areas in the state produce the majority of the apple crop: the Wenatchee–Okanogan region, which includes Chelan, Okanogan, Douglas, and Grant counties, and the Yakima region, which includes Yakima, Benton, and Kittitas counties. Washington produces seven primary varieties of apples that are exported to over 60 countries around the world. FairLifts reserves helicopter support for Washington’s growers and producers to improve upon crop yield and field treatment accuracy for the Ag industry in Washington and beyond. FairLifts, working with a worldwide network of helicopter operators, schedules a variety of aerial application solutions in Washington, including crop surveys and dusting, mosquito and pest control, weed and brush control, and frost protection. Expert helicopter pilots guarantee accurate and extensive coverage of agricultural areas with reduced environmental impact. The following are just a few of the aerial services FairLifts offers in the state of Washington. FairLifts schedules aerial applications, such as crop dusting, topdressing, fertilizing, watering or hydroseeding in the state of Washington. 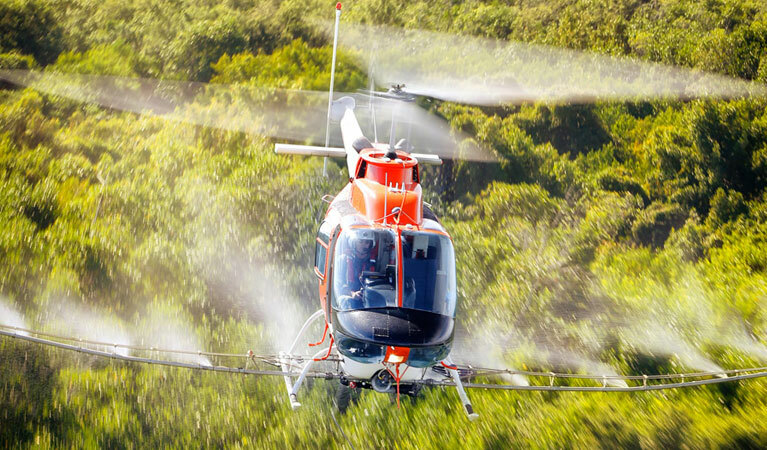 Expert helicopter pilots, skilled in mixing and spraying fungicide and crop protection products, ensure precise aerial applications of fertilizer and hydroseeding. FairLifts coordinates mosquito and pest control aerial applications to safeguard crops and ensure revenue. Professional helicopter pilots experienced in containing pesticide and spray drift guarantee expert adulticide and larvicide applications for increased crop safety and quality. FairLifts arranges aerial applications of herbicides, ensuring protection from noxious weeds and brush encroachments that can threaten crop safety. Skilled helicopter pilots can access inaccessible crop areas to guarantee accurate and wide-ranging coverage. FairLifts, working alongside a network of helicopter operators, reserves aerial applications for frost prevention and treatment solutions, guaranteeing year-round crop protection. Trained helicopter pilots provide periodic treatments of widespread agricultural areas, diminishing crop damage that can arise from weather fluctuations. FairLifts schedules world-class aerial application solutions for farmers and growers across the state of Washington. Our knowledgeable account managers are on hand seven days a week to provide quotes and information regarding agricultural aerial application services in the state of Washington. Call today!